The match Colombia against Brazil was played out at Fortaleza's Castelão on the 4th of July 2014. Brazil won 2 x 1. 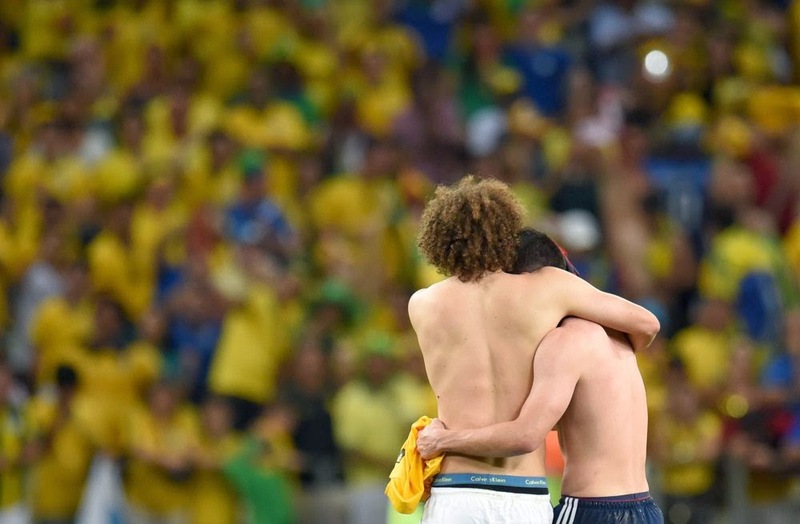 The Colombian striker James Rodriguez (22) broke down and cried after the game and here he is petted by Brazilians Marcelo and David Luiz.